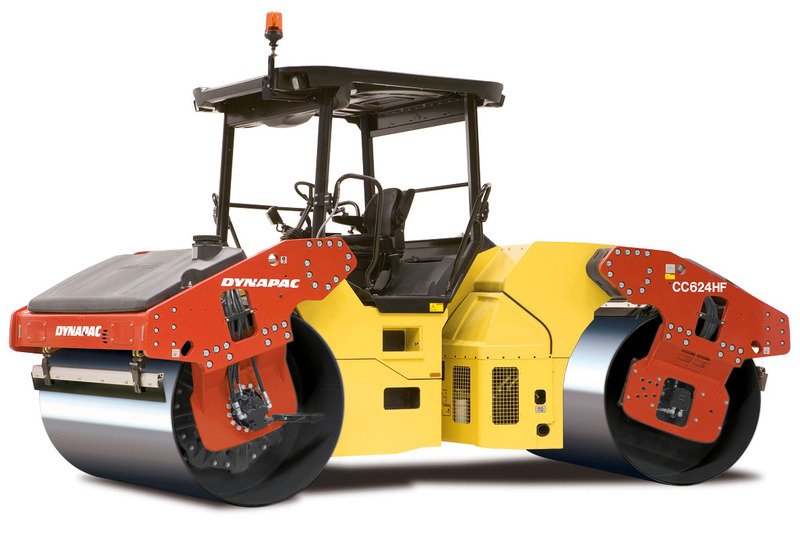 The Dynapac CC424HF, CC524HF and CC624HF new generation articulated tandem rollers are designed to meet the needs of contractors, road contractors and rental companies around the world. The operator of a CC624HF will be in full control, as ergonomics are optimised, control panels clear and the visibility outstanding. Daily service points are few and easily accessible. The position of the engine on the rear module and the large, easy to-open engine hoods with all service points located on one side of the machine contribute to easy and fast service. The service info displayed direct on the drivers LCD also faciliates service jobs. As a supplement to the central water tank, use of optional additional front and rear water tanks gives a total capacity of up to 1400 litres, enabling a full day’s operation without refills. 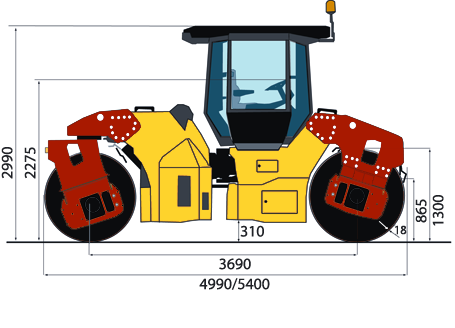 CC624HF has a drum width of 2130 mm and a rated power of 93 or 113 kW depending on your choice of engine. 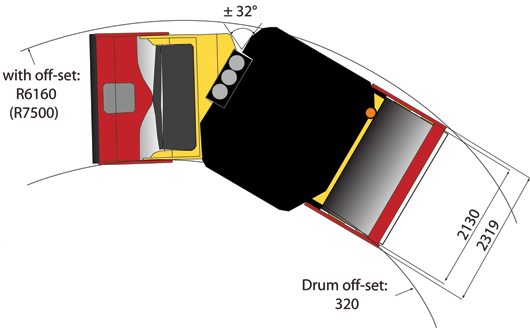 Eager to see the schematics of CC624HF?